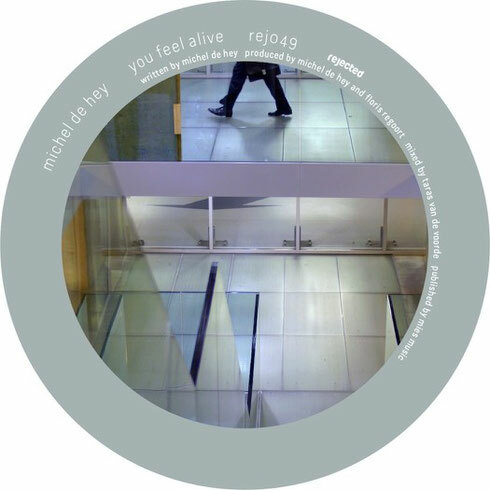 Recent releases have highlighted Michel de Hey’s house bound sound and style. As possibly one of Holland’s most influential DJ/producers and inspired by his summer beach residency at Karavaan, the Rotterdam native aims to capture the heat and happiness of those sun-drenched moments in his debut release for Joris Voorn and Edwin Oosterwal’s Rejected label. A 20-year career, both behind the decks and in the studio, has allowed Michel to turn his skills to the complete gamut of electronic music. Both ‘You Feel Alive’ and ‘Silodenup’ find him taking influences from the classic jams of old to create two fresh faced house tracks that are apparently already receiving early support from the likes of Matthias Tanzmann, Reboot, Huxley and Jesse Rose. Possibly on a creative high, Michel even lays his own vocals across the opening number, something he has never done before. ‘You Feel Alive’ bathes in its warmth and its uplifting power chords summon whistles, calls and roof-raising reaches. On the flip it’s the beats, skittling groove, keys and vocal of ‘Silodenup’, a track that may well have you sliding up tight and getting down with your closest dancing partner. It’s out 11 December on Rejected, check it out below.